The Kokomo Downtown Farmers’ Market Opens Soon! Spring has finally arrived! Take time to check out the Kokomo Downtown Farmers’ Market, opening for the season on Saturday, April 19, 2014. Open weekly on Saturdays from 9:00 a.m. – 1:00 p.m. (through October 18), the market will offer fresh produce, eggs, handmade gifts, flowers, fresh breads, home-baked goods, and much more. You can even meet local artists and musicians and watch fun demonstrations. Did you know the market is a producers’ market? This means the vendors sell only products they have grown or made themselves, which makes it a truly LOCAL experience! NEW this year is the Little Sprouts’ Market club! Program sign-up starts the first day of the season, and “little sprouts” will receive a market passport and a reusable market bag and can begin the fun weekly activities right away. The Little Sprouts’ Market club is free, and children ages 5-12 are invited to participate. Visit the market for more details! Open rain or shine, the Market is located in Downtown at the corner of Mulberry & Washington Streets. For more information or to see the upcoming schedule of weekly activities, visit www.KokomoFarmersMarket.com. Summer is now in full bloom! There is no better place to spend a Saturday morning other than our local Kokomo Downtown Farmers’ Market. If you are looking for fresh, wholesome, locally grown food, the market is the place to be! The Kokomo Downtown Farmers’ Market also features an array of locally crafted arts, jewelry, soaps, and more. This is true foods, local flavors, and a very local experience! The day of “just produce” is long gone. The market not only provides our community with the freshest produce one can find, but it also hosts other small businesses such as Burlington Meats, which takes pride in preparing great tasting foods from the finest and freshest meat. This vendor processes pork, beef, and deer to your specification. They are also well known for their pulled BBQ pork, homemade brats, and Italian sausage. Das Bauck Has (The Bake House) specializes in cakes, pies, breads, and is a distributor for Charitee Organic Agave Nectar Products. Agave Nector is a natural sweetener for food and beverages and has many health advantages over traditional artificial sweeteners. If you are looking for fresh herbs, the Dragonwood booth is a great stop. They also have locally produced honey and an assortment of home-crafted teas. The Kokomo Downtown Farmers’ Market loves to have musicians, artists, and educational classes on site whenever possible. The market will buzz with local musicians such as the sounds of the Rhum Academy of Music, another one of Downtown Kokomo’s jewels. Rhum Academy is a place where individual students are encouraged to express themselves freely through music. Come spend a Saturday morning with local flair! The Kokomo Downtown Farmers’ Market is open every Saturday now through October 15, 2011 from 8:00 a.m. – Noon at the corner of Sycamore and Union Streets. Visit their website for more information or view their calendar of events at www.KokomoFarmersMarket.com. 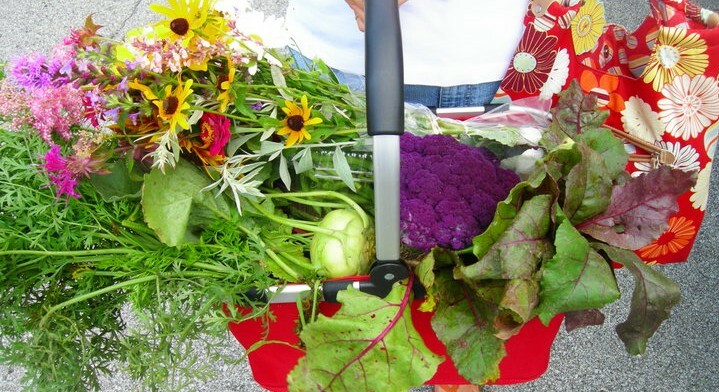 The 2011 Kokomo Downtown Farmers’ Market season kicks off this Saturday, April 2! Farm fresh produce, home baked goods, handmade crafts, homemade breads, and much more will be offered at the market each week. The Farmers’ Market is located at the corner of Sycamore & Union Streets in Downtown Kokomo (one block East of the Courthouse Square) and is open Saturday mornings from 8 a.m. – Noon. Free classes will be offered throughout the summer and live musical entertainment will fill the market each week. Check their website for weekly updates on vendors and classes! In addition, the Kokomo Downtown Farmers’ Market will open on Wednesday nights from 4-8 p.m. from June through August. Regular market hours will continue through Saturday, October 15, 2011. For more information on the Farmers’ Market, visit their website www.KokomoFarmersMarket.com. Local flavor. Local food. A local experience! Kokomo area farmers’ markets are not just a place to buy fresh produce anymore. Yes, they still offer juicy and fresh locally-grown produce, but now offer so much more! 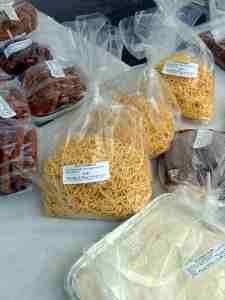 The Kokomo Downtown Farmers’ Market has a diverse variety of vendors each week selling items ranging from fresh baked breads, eggs, and meats to handmade soaps, jewelry, and homemade doggie treats. The market takes pride in the fact that the produce growers are also the sellers. The vendors at the market vary from week to week, but you are sure to have a great selection of the local flavor of Howard County! Besides shopping the great vendor booths, the Kokomo Downtown Farmers’ Market also offers a variety of other activities each week. The Pointy Pencil (located next to the market) offers free crafts for kids ages 2-12 from 10 a.m. – Noon each Saturday. Free face painting is also offered every week for kids. In addition, the market features weekly live music by local musicians, and free classes highlighting agricultural issues and gardening techniques are offered to the public on select Saturdays. The Kokomo Downtown Farmers’ Market is located in downtown Kokomo at the corner of Sycamore and Union Streets. Hours are 8 a.m. – Noon every Saturday now through October 30. For more information, visit their website. The Greentown Farmers’ Market is also open weekly. 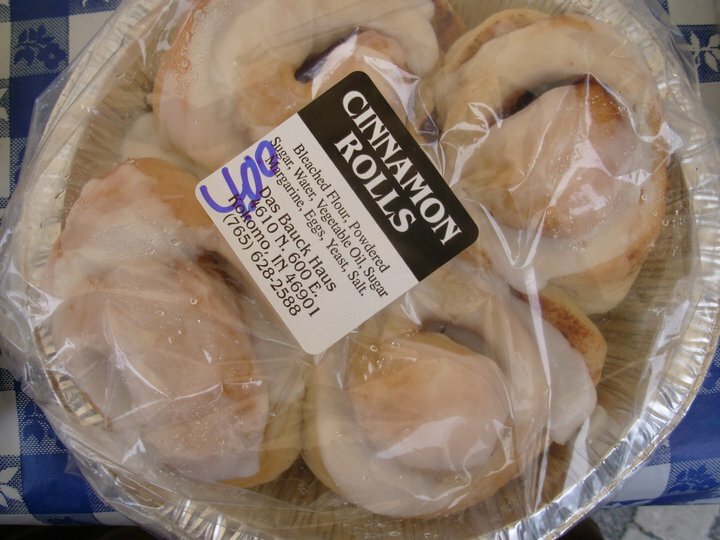 Vendors offer items such as Amish baked breads and pies, butter, cheese, eggs, pastries, and handmade American Girl doll clothes in addition to the fresh market produce. Organic goods are also available, including homemade herb butter. My mouth is watering already! The Greentown Farmers’ Market is located in downtown Greentown at the intersection of Main Street (State Road 22) and Green Street. The market is also open from 8 a.m. – Noon every Saturday now through October 30. Shopping at a local farmers’ market is a great way to choose healthy foods, support local businesses, and a great opportunity to teach your kids about how fresh produce is grown and harvested!